Other Classes - Wood it be Beautiful! 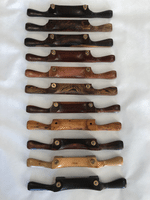 The “Filbeck” spoke shave design is exceptionally comfortable and energy efficient to use. The traditional boxwood or cherry will be used to create this elegant chair making tool. The class fee includes all materials and necessary tools. 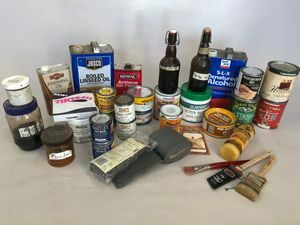 This class includes preparing the plywood and solid wood test pieces, using stains, dyes and grain fillers. The finishes will be wipe-on varnishes/urethanes, shellac and oil finishing. The class fee includes all materials and necessary tools. This class includes preparing the wooden test pieces, spray finishing with lacquer, shading, tinting and rubbing out film finishes. French polishing with shellac will also be done. The class fee includes all materials and necessary tools. 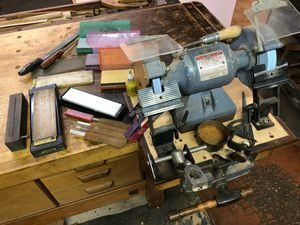 This class covers sharpening chisels, plane irons, scrapers, carving and turning tools. You will learn the procedures to hollow grind bevels, flatten the back of the cutters and honing the cutting edge with many different honing devices. The class fee includes all grinding and honing equipment. Bring a new (or good condition) chisel, plane iron or scraper to this class. 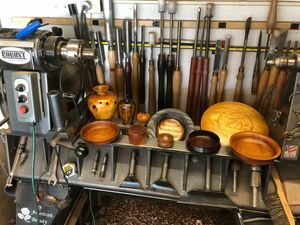 This class addresses fixing loose joints, repairing or replacing broken parts and turning replacement parts on the lathe. Touch-up of color and filling dents will also be covered. The class fee includes all materials and necessary equipment. 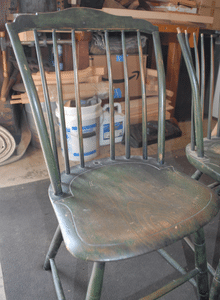 Bring a small chair or small furniture piece that is in need of repair. This class introduces steam bending and bent lamination. 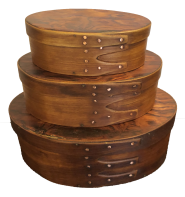 To learn steam bending, the student will make three oval Shaker Boxes in this class to take home. Making bent lamination parts will be demonstrated. Learning how to make steam bending and bent lamination forms is a very important part of this class. The class fee includes all materials and necessary tools. Turning chair and furniture parts is a necessary skill for most wood workers. Russ turns any parts that he needs for chair making, furniture repair, wooden bowls and platters. Wood turning for decorative items such as hollow vessels is very challenging and exciting. Turning items from locally harvested, exotic and non-commercial trees provides unique experiences. 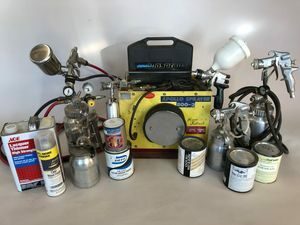 Russ has the materials and equipment necessary for students to turn a variety of projects in either a one or two-day class. Tool sharpening is a basic and necessary part of this class.